As reported by the New York Times just last week, small-scale, artisanal malting facilities have started to pop up around the United States. A direct off-shoot of the craft beer explosion of recent years, these malt houses are capitalizing on a surging interest in locally-produced ingredients. 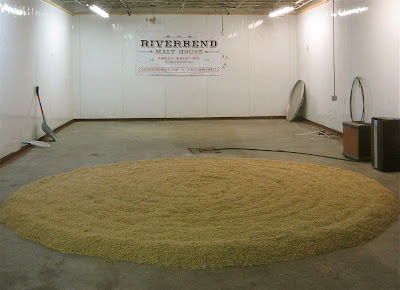 Passing through Asheville, NC, I met up with Brent Manning and Brian Simpson of Riverbend Malt House, a young company producing hand-made, artisan malts from locally-grown barley, rye, and wheat since 2010. 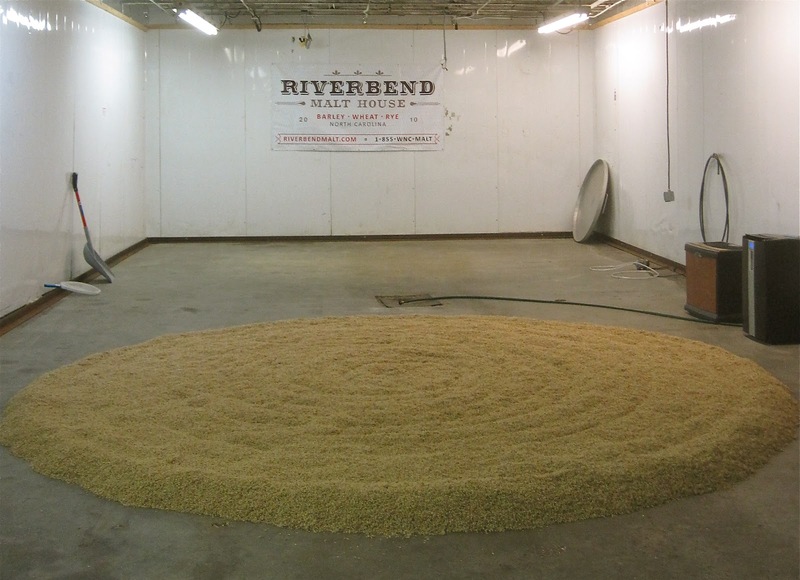 Not only does Riverbend work with local farmers to source their grains, they are using traditional floor-malting techniques to resurrect a craft hundreds of years old. Brian and Brent are dedicated to creating a sustainable business and to using organic and non-GMO ingredients as much as possible. Riverbend Malt House is well-situated in Asheville, with some 15 breweries and brewpubs in the area and more on the way. Add to that the fact that Asheville has either shared or won outright the title of Beer City USA for the past four years. It's the city with the most breweries in the U.S. per capita and the future home of three big-time operations from the West Coast. Being a craft beer locavore, I was interested to see how Brent and Brian had come into this line of work and excited to learn about a day in the life of a maltster. Native North Carolinians Brian Simpson and Brent Manning are the brains behind the operation. They were consultants in their former lives, and saw a niche that needed filling. Acknowledging the fact that most breweries around the world get their malt from just a handful of producers, Brent and Brian took a leap of faith and seized an opportunity. Two years later, demand for locally-produced ingredients has skyrocketed, leaving these two entrepreneurs well-positioned to cash in on the impending boom in Asheville. To prepare for their venture, Brent and Brian studied at the Canadian Malting Barley Technical Centre, a non-profit dedicated to providing technical assistance to the malting and brewing industries. It was something of a crash course in malting, cramming a Bachelor's degree worth of knowledge into three, 50-hour weeks. Brian and Brent also studied extensively on their own and worked with a local metal-worker to construct an old-school malt rake from 19th-century drawings. Grains starting to show the rootlet. The grain is moved to a kiln to stop the germination process, thereby preserving the grain's enzymes and sugars for use in making beer. If you don't stop the germination, that energy would be used to turn that barley kernel into a plant! The temperature in the kiln varies depending on the color and flavor you want the malt to have. Brian and Brent produce a few heritage malts, including a soft red wheat, more robust in flavor than more common varieties, and a species of rye that's been grown in North Carolina since the Civil War. They're on track to produce 150-175 tons a year, but that number is sure to increase as more and more breweries use their malts. I was struck by how well Brent and Brian were able to balance the old and the new. It was clear that they have become experts in their field, both pushing the envelope on what the malting industry can be and simultaneously harking back to tradition. I can imagine Belgian monks or early American settlers making barley malt in basically the same way. I asked these brothers (not really brothers, but pretty damn close), how it felt to leave their jobs and dive into a craft such as this one. They acknowledge it was extremely gratifying, and it was easy to tell from their enthusiasm that it was true. I look forward to following their successes, as each of them balance starting a business with starting families. I would like to encourage everyone reading this to get to know food and beverage producers in your area. Not just brewers, maltsters, and hop growers, but also farmers, bakers, and butchers. These are the people who will be creating jobs and putting money into your local community. Get your hands in their malt (or whatever it is they make) and smell it, feel it, taste it. 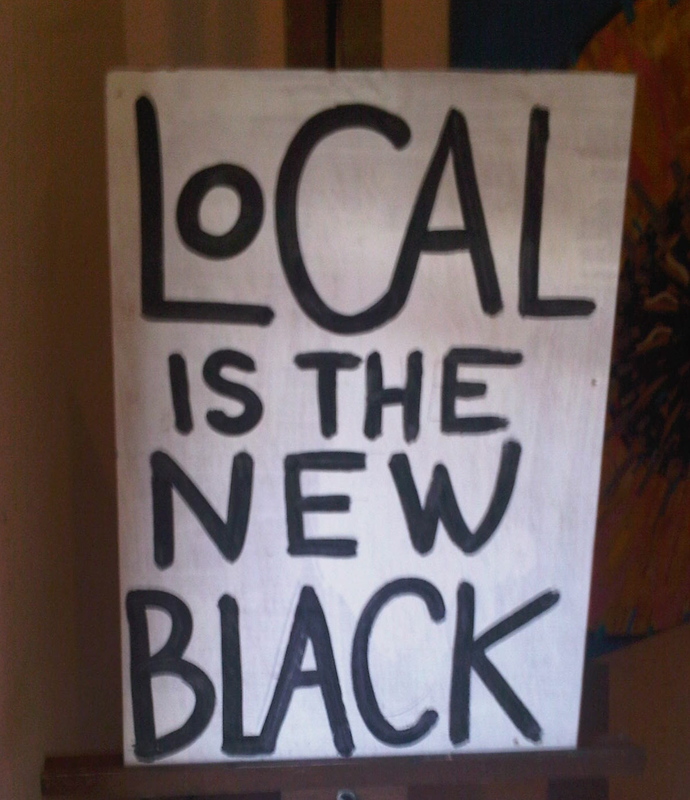 Support their businesses. Charleston, SC: Westbrook Brewing Co.